Ron Ensz was raised on a diversified family farm in southeast South Dakota near the rural town of Marion. He attended South Dakota State University and graduated in December 1979 with a Bachelor of Science degree in General Agriculture. Prior to becoming active in the appraisal and real estate business, Ron committed over 20 years of service to the Farm Credit System. He was employed in Minnesota, Colorado, and South Dakota. Ron was a management leader from 1990 to 2002 managing branch offices in Belle Fourche and Rapid City before making a career change into the real estate brokerage and appraisal profession. Ron was the owner / broker of Kjerstad Realty Group for about five years before joining Clark & Associates Land Brokers. He has been licensed in real estate since March 2002 and has been involved with real estate appraisal since October 2002. Ron is a certified general appraiser licensed in South Dakota and Wyoming and received his Accredited Rural Appraiser designation from the American Society of Farm Managers and Rural Appraisers in 2008. 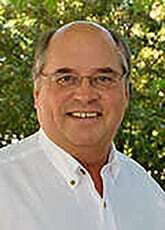 Ron has a diverse background and is familiar and knowledgeable about the farm and ranch properties in the market area. Ron is licensed in South Dakota, Wyoming, Montana, and Nebraska.